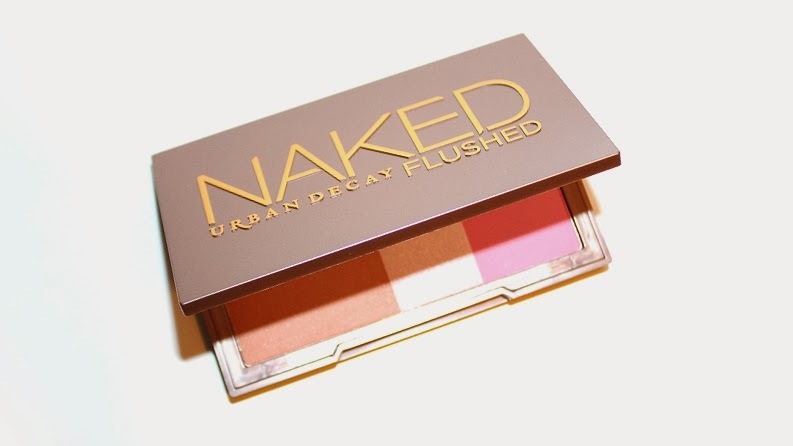 The Naked Native Flushed palette is a follow up to the original Naked Flushed. 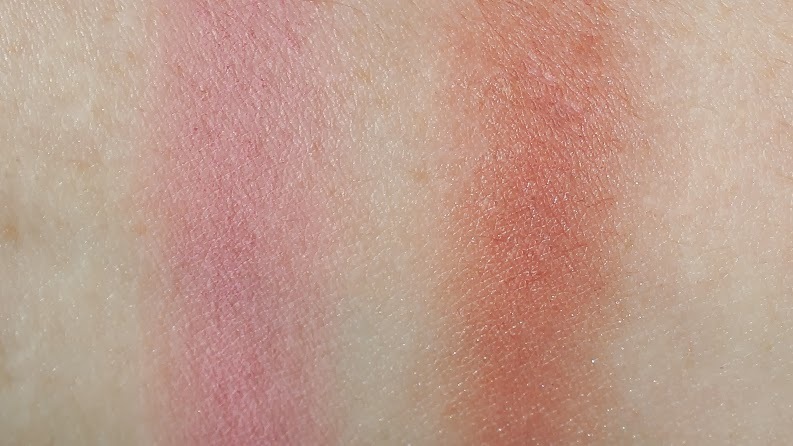 The blush is the most noticeable difference between the two. It's a softer, lighter pink much like the Native lipstick and lip pencil. 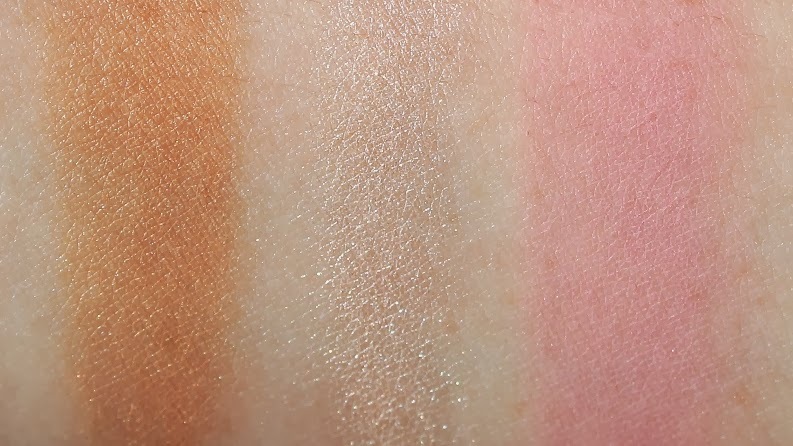 The original Naked Flushed was a fairly decent palette, however it only worked with certain skin tones and the texture was firm and almost dry. 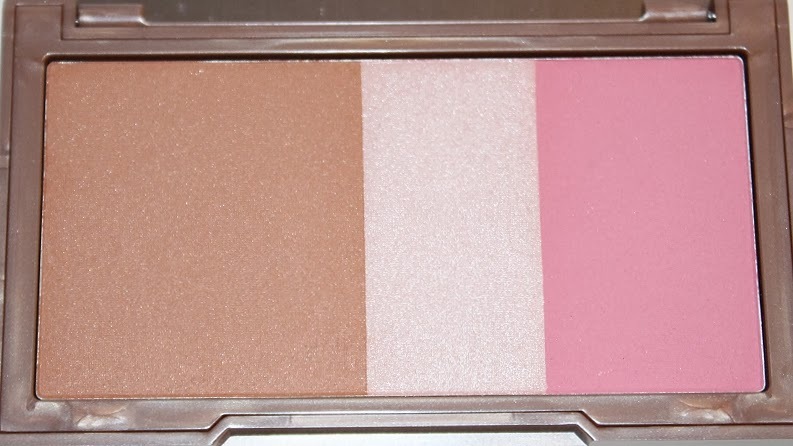 This palette unfortunately wasn't much of an improvement as it ended up being on the opposite side of the "bad" spectrum -- powdery. The Naked Native Flushed (0.49 oz.) retails for $30 USD ($35 CAD) and includes a bronzer, highlighter and blush. The packaging is simple and compact. It features a handy mirror and the individual products are generously sized, although I wish they were equal rather than being 45% bronzer. 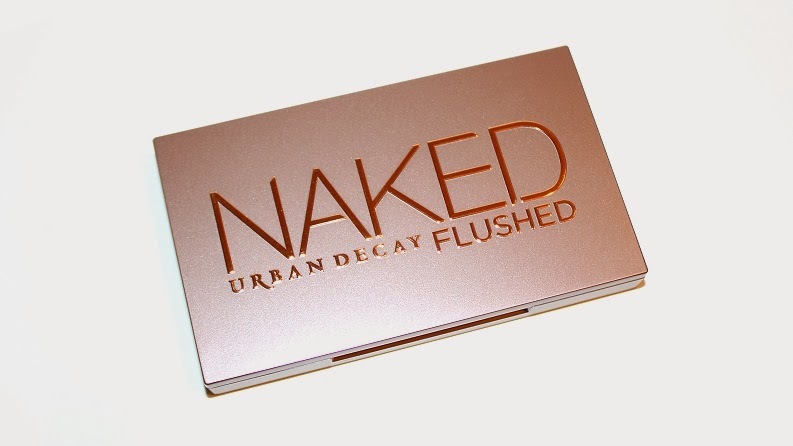 The packing is exactly the same as the original Flushed, however this compact is slightly more rosegold toned than gold. 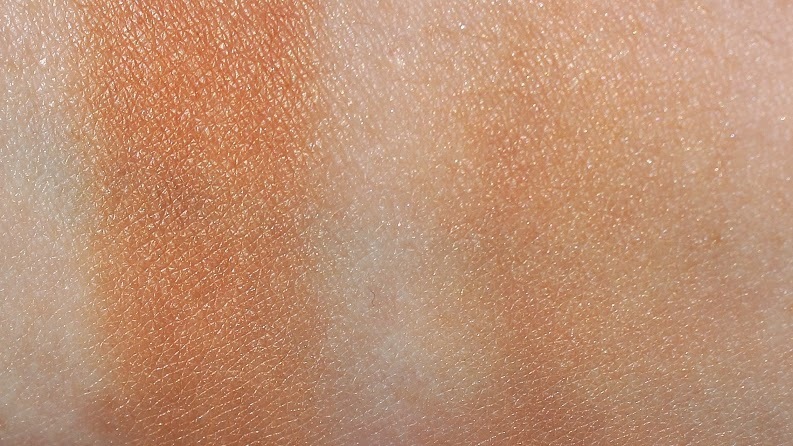 The bronzer is a medium-tan satin with slightly visible sheen and warm undertones. The texture is an improvement from the last Flushed palette. 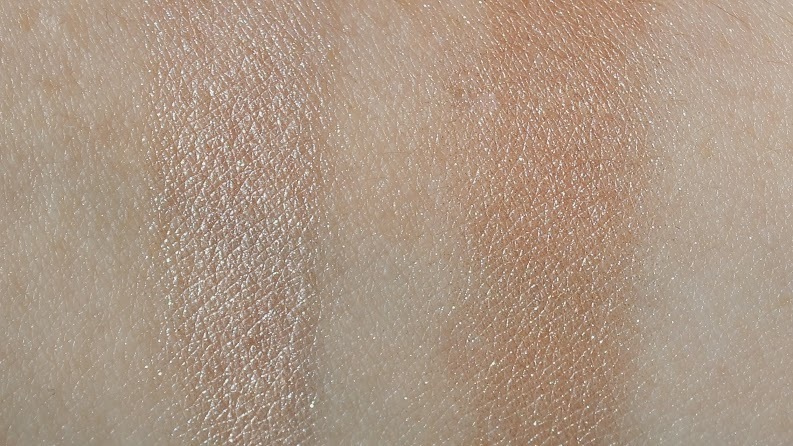 The bronzer is soft, smooth but it is powdery (opposite to the original Flushed, which was firm.) 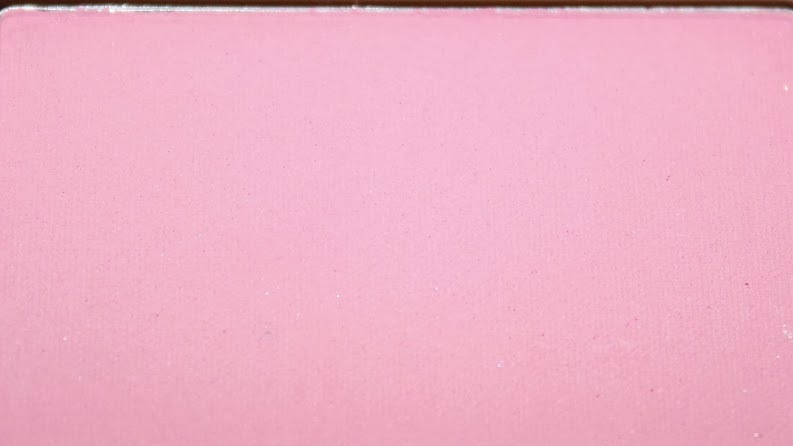 I noticed a lot of loose, wasted product when I ran my brush over the pan. 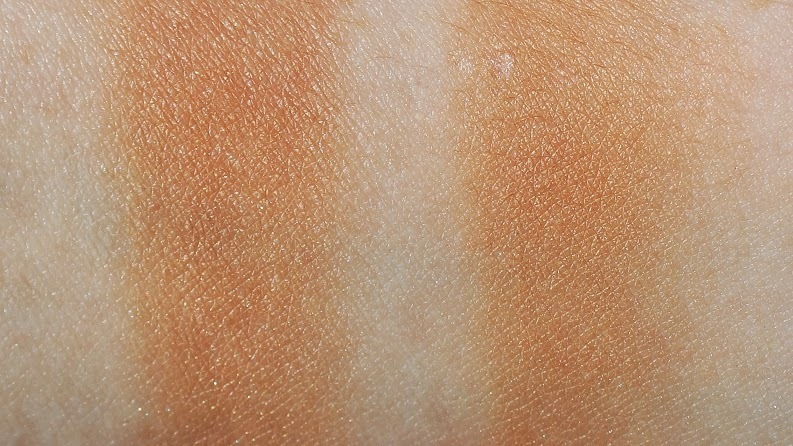 Once applied to the skin, the bronzer applies evenly and blends well. 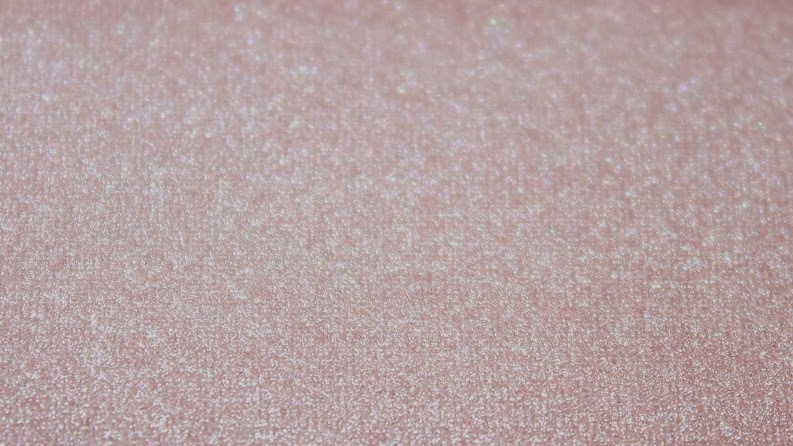 The highlighter is a champagne pinky peach with a frosted finish. 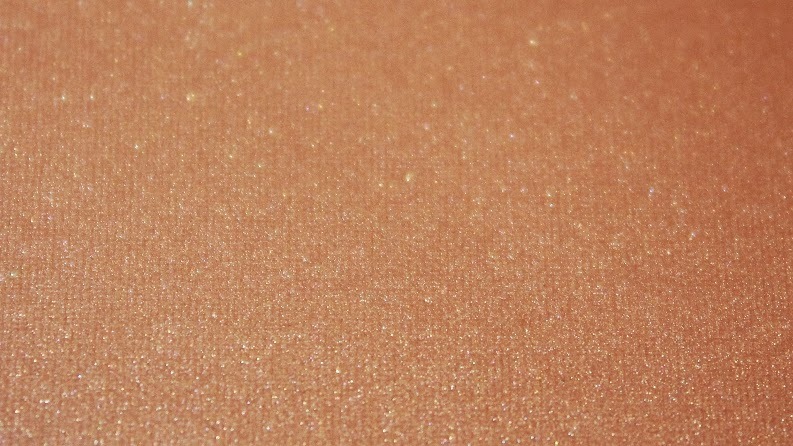 Like the original Flushed, this highlight has a very frosty metallic finish which can emphasize the look of pores. Only the smallest amount is needed for a natural glow. I found this highlight to be finer milled and leave the skin looking more natural. 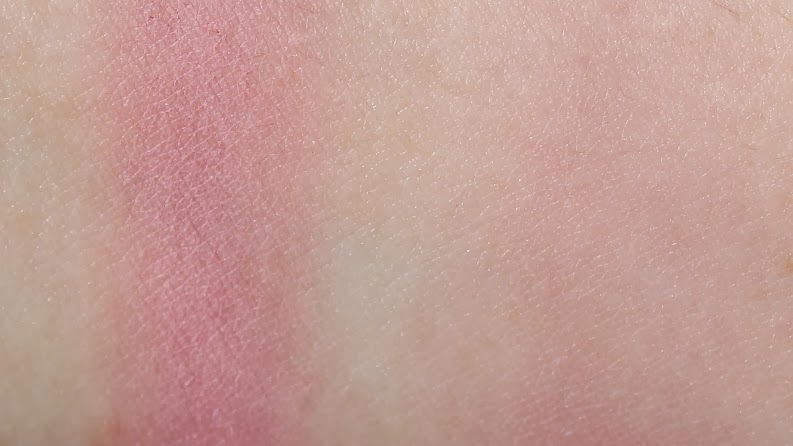 The blush is a light pink with cool undertones and a mostly matte finish. 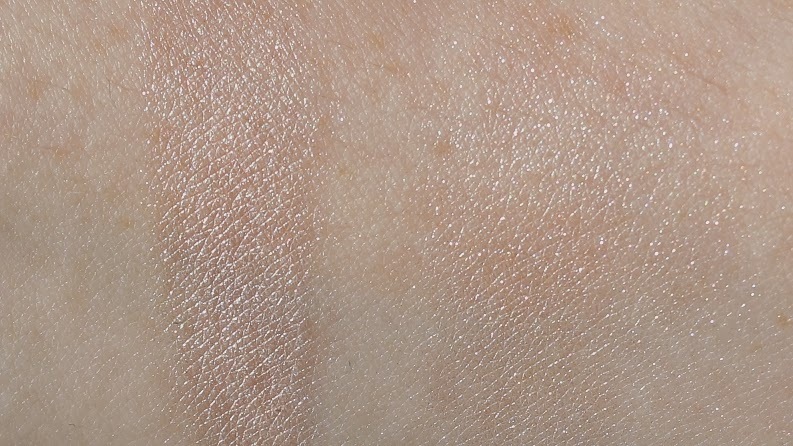 Again, the texture is the opposite from the original Flushed palette, powdery vs. firm. 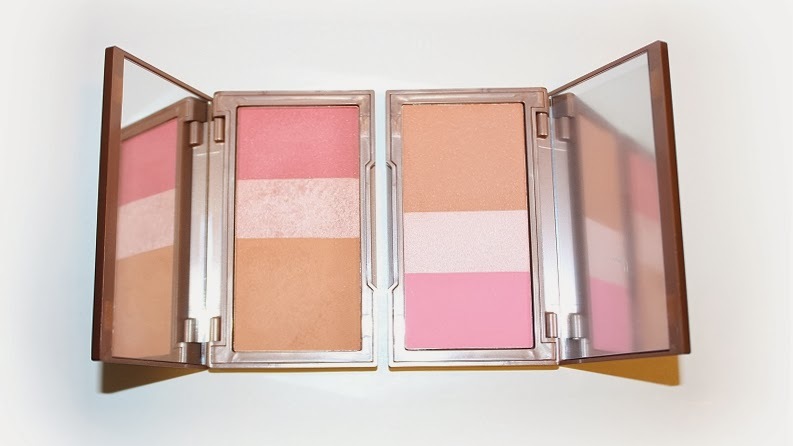 The blush is soft, smooth but is very powdery. Like the bronzer, I noticed a lot of loose product when I ran my brush over the pan. 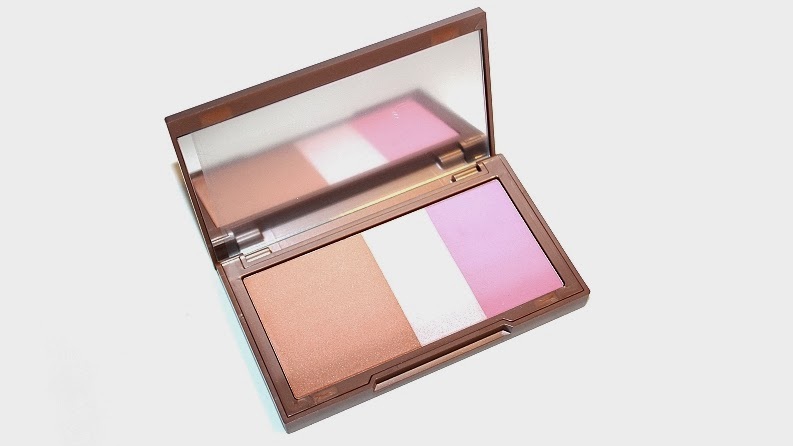 This blush applies sheer and almost patchy on bare skin. 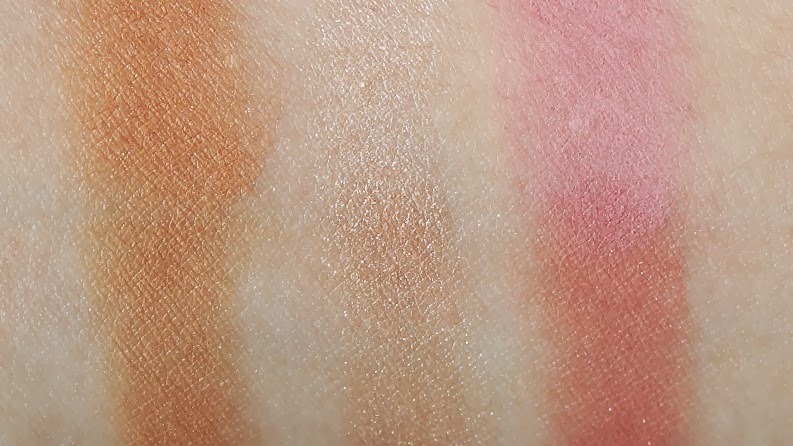 I recommend applying over top of foundation/powdered skin as it has something to grab to, but with that said, it does become more difficult to evenly blend out. 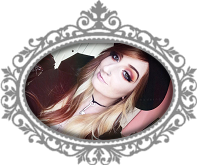 Can be purchased from Urban Decay, Sephora online and in-stores.